During our two months in Montreal, we decided to record an EP and make that “Telepathic Voices”, instead of the unreleased record that we finished earlier this year. Although we love that record, the move to Montreal (as you well know, if you follow this blog) was a very spontaneous one, and we really wanted to capture the impromptu spirit and excitement of our new living situation. With help from Dominic Lafontaine and Ben Leggett, it all became possible. Make sure to familiarise yourself with the ‘Shows’ section of this site so you can check out our time capsule in a city near you! The next day saw us off to the great white North, my hometown of Kirkland Lake, Ontario, for a one-two punch Friday and Saturday at KL’s one and only watering hole, the Bellevue Tavern. It was really nice to see lots of familiar faces, and plenty of new ones, too! We’re taking a few days of well-deserved rest this week in preparation of heading east, and also gearing up for our release parties in North Bay this weekend (with Holly Cunningham on Friday, and B.A. 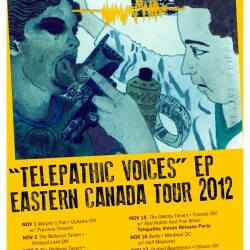 Johnston and Todd Gallant on Saturday), and the Dakota Tavern (Thursday the 15th, with Rad Habits and Pow-Wows). 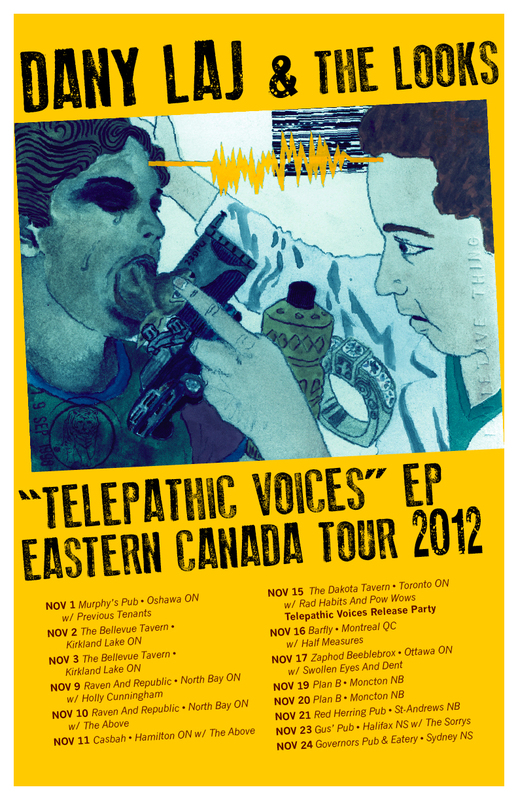 Check the tour schedule for the rest of the east coast dates, but one quick note to those of you in Sudbury: you asked for it, and you got it – a release party has been added at The Townehouse Tavern on Thursday December 6th! So many awesome shows coming up, and we’re really looking forward to seeing you all there.